Choosing the right breed of dog can be challenging because dogs, like people, are unique. At a high level, dogs can exhibit characteristics specific to their breed. For example, Labrador retrievers are often characterized as being high energy, outdoorsy, and loyal pups. The dog you choose to ultimately become a part of your family will have its own unique needs, personality and behaviors, but beginning your search with which dog breed fits your lifestyle can be a great starting point. So, before you buy the dog toys and start looking for your new best friend, ask yourself some simple questions. These questions should look at the type of lifestyle you lead, the amount of time you’re willing to invest in your pup’s daily needs, and if you are prepared for the potential health issues associated with certain breeds. Asking these questions can help you determine what type of dog breed is most likely to make your life happier as well as be happy in your life. For pet owners with less active lifestyles, the best dog for you may be a basset hound, bulldog, pug or shih tzu because these breeds are generally less active. While requiring a degree of daily exercise, these breeds often need less than their more active counterparts. Health should also be taken into account. Purebred dogs and specific breeds, due to breeding practices, may be predisposed to breed specific health issues. 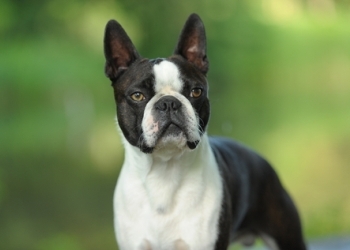 Boston terriers and bulldogs, for example, often develop allergies at a higher rate than other breeds. A lifelong condition like allergies can be costly if you are not prepared with the protection offered by pet insurance. It is also worth noting that adopting a mixed breed dog from your local shelter can potentially offset some of these health concerns. There are plenty of lovable mutts that make great canine companions. Depending on the breed mix of the pup, they may still display many of the characteristics of the parents’ breed as well. So asking which type of dog makes sense for your lifestyle can still be beneficial in these cases. Ultimately, there are many factors to consider when looking for the right pup. Make sure you consider as many factors as possible to make the best decision for you, your family and the dog. Every dog will be different and their age and unique personality will be a factor. By taking the time to consider what breed of dog is most compatible to your lifestyle, you will be taking an important step towards ensuring a successful dog adoption that will lead to years of joy and companionship.